Are you looking for best class for NEET exam preparation? Can I Crack NEET exam in first attempt by joining NEET Classes? Lot of questions arrives in student’s mind. Choose a best Class for neet exam is difficult task in front of students. Perfect coaching helps you to crack the medical entrance exam & get admission in top MBBS and BDS Colleges. Neet entrance exam is one of the tough exam. 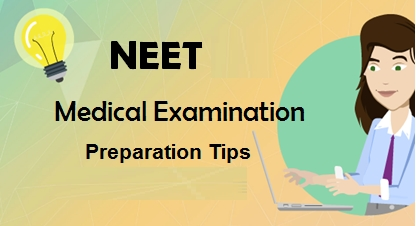 For getting admission in top medical college, university you have to crack this neet exam. If you see the ratio then you understand how many students appear in the exam & how many of them crack exam with good score. From this ratio you know how much this exam is tough. NEET Repeater Batches in Pune for 2019 Exam. Hello students we are starting NEET Repeater Batches in Pune for 2019 exam. Many students have dream to become a doctor then NEET Exam is the best option after 12th to complete dream. Many students cant crack the exam in first attempt due to lack of study and improper guidance but don’t worry we are here to help you. Medical Exam open the career door for all aspirants who want to make their career and passionate in medical field. Those exam are comparatively tough, But the logical skill and continuous practice, aspirants can easily achieve good score in exam. Only two months are remaining to NEET UG Exam. You have an golden opportunity to get admission in top medical college in India. Neet Exam is one of the toughest exam.